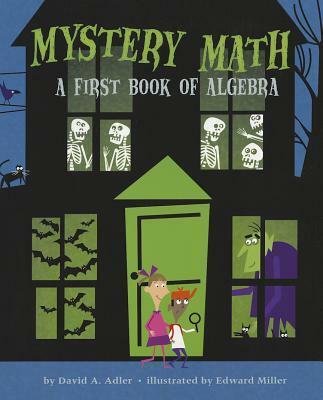 Mystery Math by David A. Adler is a picture book that provides a great introduction to algebra. Equations are compared to see-saws or a balance scales, and it is explained that whatever is on one side has to be balanced by whatever is on the other side. This is an analogy that will definitely make sense to children. Appropriate terminology such as the word "variable" is used, but the great benefit is that this new vocabulary is also explained in simple terms as the mystery number. This gently encourages students to make connections and achieve deeper understanding of the concept. Step-by-step, illustrated examples of solving simple equations using addition, subtraction, multiplication and division are provided. Another idea I absolutely loved, was the provision of instructions in the back of the book for students to make their own balance scale using readily available resources including a coathanger, paperclips and coins as weights. What a fantastic book for helping to demystify a topic that students frequently find difficult!